Carrickfergus men Jay and Aaron recently joined our Jobmatch programme to avail of the free training on offer and enhance their skills in the hope of finding full-time employment. Both were looking for jobs in the warehousing or labouring industries preferably within the Carrickfergus area. 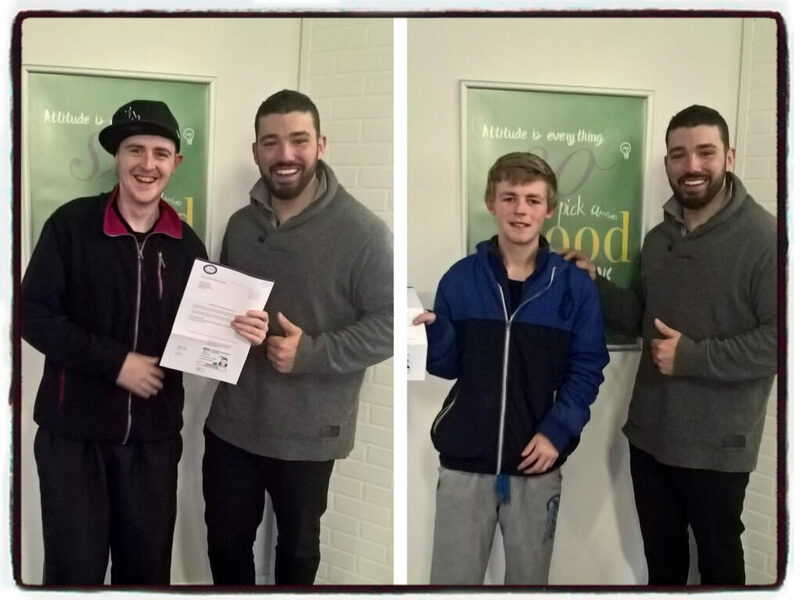 Jobmatch Employment Coach Joshua worked with Jay and Aaron to develop their CVs and helped them to complete application forms for roles with Moy Park. He also helped them prepare for their interviews by carrying out mock interviews. Both men are delighted to have found full time work with Moy Park. We would like to wish Aaron and Jay all the very best in their new roles. There are many options to consider and choose from when searching for a new job. We can provide you with help developing your CV, the completion of job applications and offer various training courses to help you develop your skills. If you are interested in finding out what support we can offer, give the Carrickfergus office a call on 028 9332 1300 or email info@networkpersonnel.org.uk for more information.